I bought new trail shoes the other day. I love buying new shoes and enjoying that new shoe smell and seeing all the bright shiny colors. If you are a trail runner, or even if you’re not, you probably know that trail shoes get dirty fast… since you’re running through things like mud and dirt… and you sweat in the shoes.. and there goes the bright colors,the new shoe smell… the “newness” doesn’t last very long. As a result, I experience ambivalence when I put on my new trail shoes for the first time, to let them touch the dirt for the first time, to go through a swampy area for the first time, a mud pile, a stream.. etc. I’m excited to break in my new shoes, but sad at the immediate loss I experience at the same time. I remind myself that the best things are often well loved. I think about my favorite cook book covered in food splatters, my old dirty trail shoes I enjoyed, a favorite book with the pages all marked up…. the list goes on. I remind myself that well loved items often don’t look new…. nor would they! Even with my reassurance, I reluctantly begin my run and try to allow myself to LET GO. As I continue on my run I process my feelings and work on accepting the loss of newness. I become aware of the things I continue to try and HOLD ON to that are not serving me and I give myself permission to let go… let go of control. I know I’m not alone in the fact that I like to be in control because it’s safe and comfortable. Anxiety happens when we try to control situations that are out of our control. My anxiety serves as a red flag to check in with myself – what am I trying to control? What can I let go of? Learning to let go of the control is very difficult and frankly, uncomfortable. 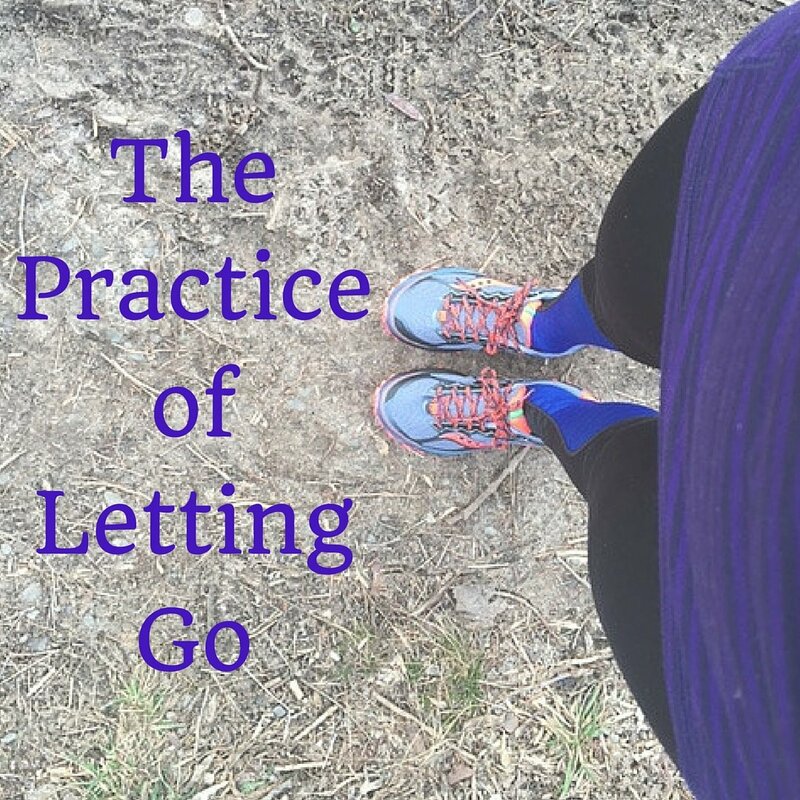 So during my run I practice letting go… letting go of my new shoes and letting go of my fears as I run. I recognize how letting go is beneficial for my mental health and learn to become comfortable with the uncomfortable process of letting go. Practicing letting go is not the most comfortable thing in the world, but there is benefit in getting comfortable with the uncomfortable. When life faces us with really difficult situations, it becomes a familiar emotion rather than a super scary unfamiliar one. I gain confidence that I can MAKE IT THOUGH the difficult, uncomfortable feeling and know that the world is not coming to an end and I will come out the other side. So that’s why I practice letting go and encourage others to do the same.